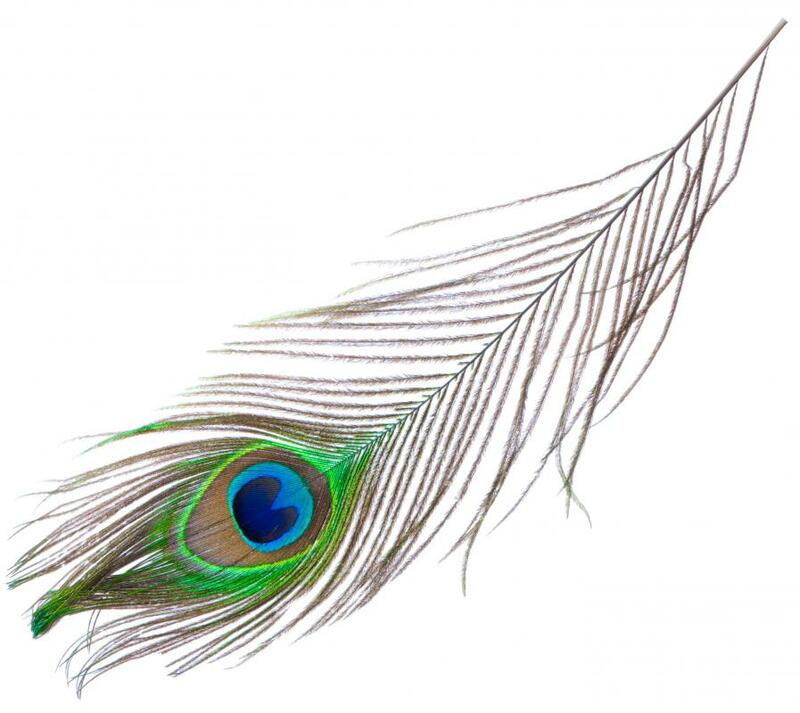 Male peacocks' bright feathers are an example of sexual dimorphism. 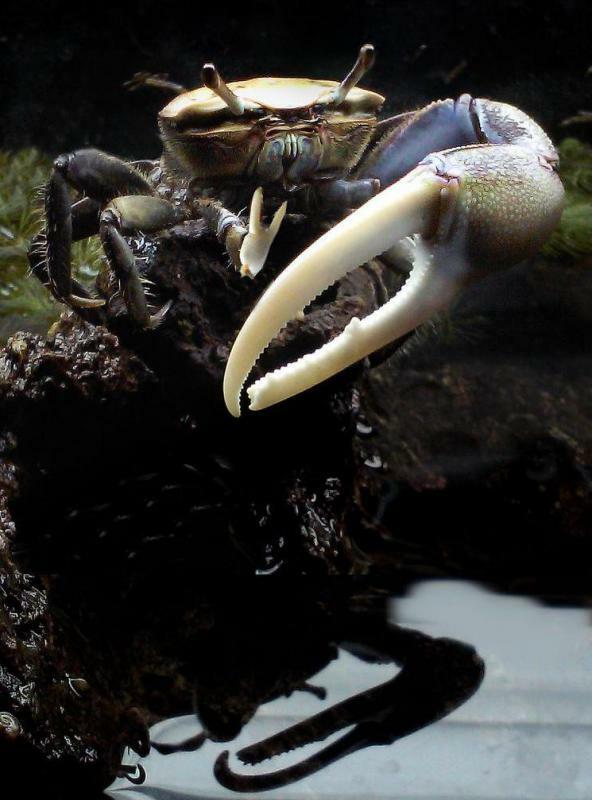 Fiddler crabs are a sexually dimorphic species, as the males have one claw that is larger than the other. 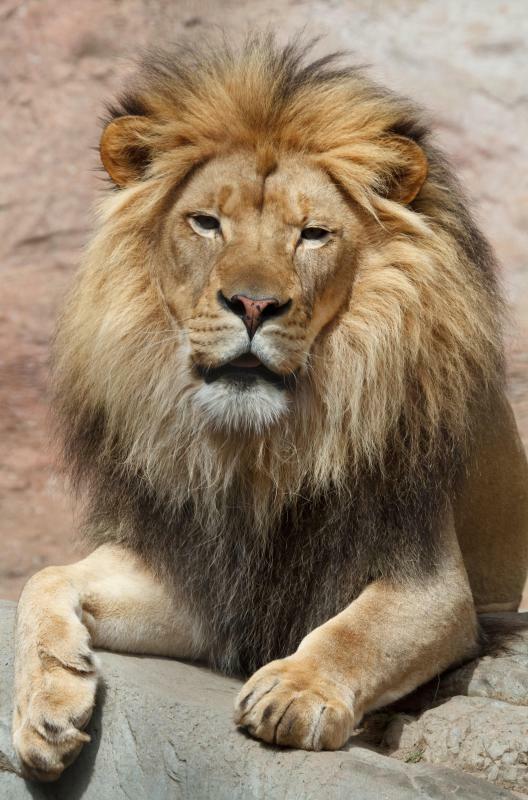 The mane of the male lion is an example of sexual dimorphism. Sexual dimorphism is a term describing the gender-based physical differences that often exist in various animal species. Experts have determined that these variations exist for many different reasons, some of which are based on sexual reproduction, while others are based on the practical roles of the sexes in various social structures. Sexual dimorphism can present itself in many different ways, including size differences, variations in color, or changes to the basic form. Prominent examples include the mane of the male lion, or the obvious size and form differences between the human sexes. Sexual dimorphism can exist in many different ways throughout the animal kingdom. Some of these could be considered rather obvious, while others are often very subtle, and might be hard to notice through simple visual identification for those who aren't experts. For example, sexual dimorphism might be something relatively easy to spot, like a drastic difference in the color of the fur, or it could be something very difficult to see, like a difference in the prominence of brow ridges. For some animals, the sexes look so similar that even experts can't tell the difference without examining the animal very carefully or performing tests on it. One of the most commonly-seen forms of sexual dimorphism is a difference in size between the sexes. Males are usually larger than females, and this is especially true among different kinds of mammals. There are exceptions to this however, and in cases where females are larger, there is actually a special term for the situation: reverse sexual dimorphism. Some of the most prominent examples of this are generally found among particular birds and certain kinds of insects. In many cases, sexual dimorphism exists primarily to serve as an aid to identification or to foster sexual attraction. For example, in the peacock, the bright tail plumage helps the male secure a mate. In other animals, this kind of attraction might be generated from a change in basic form, or even an additional body part that stands out visually. There are also cases where sexual dimorphism exists primarily for practical reasons. For example, in some species, the social structure dictates different roles for the sexes. Sometimes the male or female will have a specific job that requires some special physical attribute. The lion's mane is generally a good example of this kind of difference. In the lion's social environment, males usually fight other males to protect the pride, and the mane serves to make the male look larger, as well as help protect the throat during a fight. How Are Male and Female Blanket Octopuses Different? What are Some Non-Physical Differences Between Men and Women? Unfortunately, people seem to only see the differences they want to see between men and women and completely ignore the fact that both are capable of free will and logic. I hear arguments all the time contending that men are aggressive because they are men and women are nurturing because they are women. And it's true that there are significant differences between the male and female brains, but we don't actually understand how those differences express themselves or what that means in terms of individual expression. @browncoat - Actually, I think most of the dimorphic changes to the human skeleton do happen during puberty. The bones don't just get bigger as you grow, they also change shapes and relative size and so forth. But we don't really have drastic differences like some animals do. Lions are an obvious example to point to, but aren't all that different either. If you look at those fish where the male is one tenth the size of the female and basically stays attached to her for most of his life, you can see what huge differences there can be. I found it really interesting to study sexual dimorphism in an anatomy class at university. I never realized that the human skeleton was so different in men and women, because I thought most of the differences were caused by hormones at puberty. Women have very different pelvic spacing, most importantly, in order to accommodate the skull when giving birth. Even then giving birth is still a lot harder for humans than for other mammals because we had to compromise between the speed and power of having a narrow pelvis when walking upright and the size of our brains when we're born. Even along with the modifications of the pelvis in females, babies still have soft skulls when they are born so they can kind of squeeze out of there through the narrow opening.